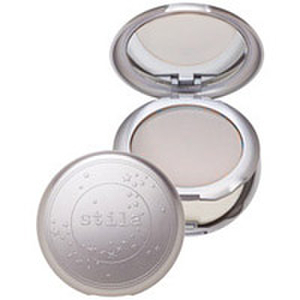 Let your inner radiance shine through with this unique, all-in-one powder foundation. Infused with mica, which are tiny crystals found in nature, this unique formula helps reflect light for luminous skin that looks fresh and bright. Perfect for use on all skin types. Water\Aqua\Eau, Mineral Oil\Paraffinum Liquidum\Huile Minerale, Butylene Glycol, Ethylhexyl Stearate, Ethylhexyl Palmitate, Propylene Glycol Stearate, Caprylic/Capric Triglyceride, Stearic Acid, Panthenol, Tocopherol, Ascorbyl Palmitate, Lecithin, Retinyl Palmitate, Magnesium Aluminum Silicate, Kaolin, Simethicone, Xanthan Gum, Caprylyl Glycol, Hexylene Glycol, Tea-Isostearate, Tea-Stearate, Cetyl Alcohol, Lanolin Alcohol, Polysorbate 20, Disodium Edta, Phenoxyethanol, [+/- Titanium Dioxide (Ci 77891), Mica, Iron Oxides (Ci 77491, Ci 77492, Ci 77499)].